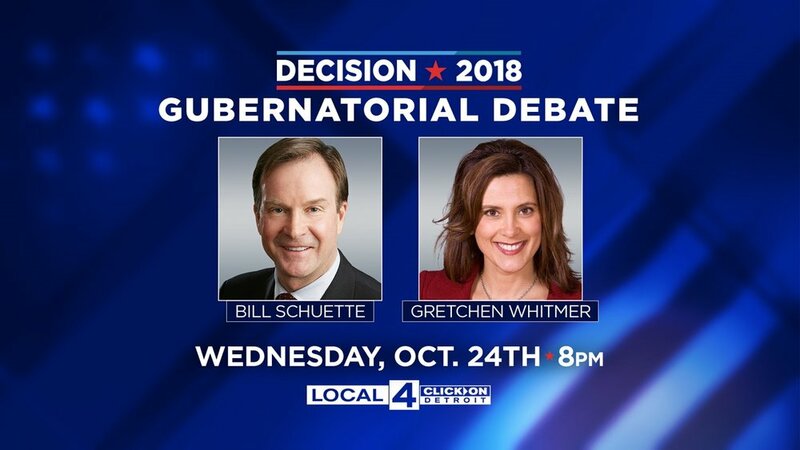 WDIV-Local 4 will host “Decision 2018: Gubernatorial Debate” between candidates Bill Schuette and Gretchen Whitmer at 8 p.m. on Wednesday, October 24. Devin Scillian and Kimberly Gill will moderate the hour-long debate at the WDIV-Local 4 studios in downtown Detroit. Questions will be determined by the moderators and include opening and closing statements. The live event will air on WDIV-Local 4 and stream live on ClickOnDetroit.com. The debate is expected to be simulcast in most parts of the state on other television stations. WDIV-Local 4 has been honored, above all local broadcast stations in the country, with the National Association of Broadcasters Service to America Award. The prestigious award presented by the NAB Education Foundation acclaims WDIV's ongoing commitment to outstanding community service. The NAB Service to America Award recognizes the efforts of the entire station as a leader in serving the public with significant contributions from every department. 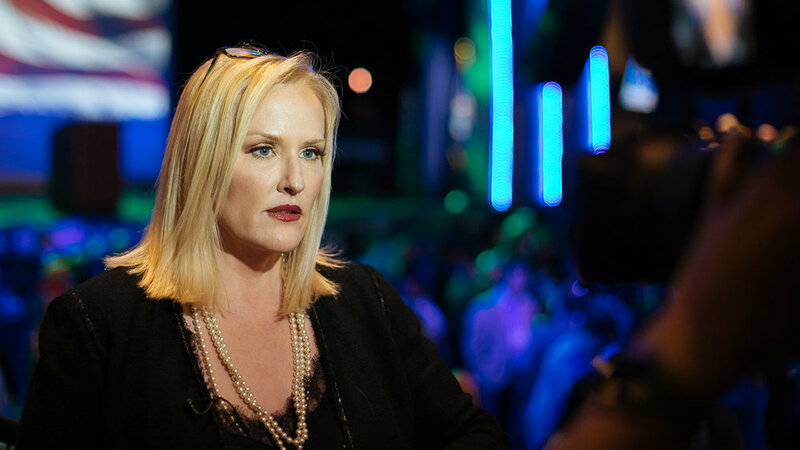 * Year-long coverage of the Flint Water Crisis which included an unwavering news focus, a primetime special and travel to Washington, D.C. to cover developments on Capitol Hill. Using the power of local television and the support of a strong and caring community, the station organized the Flint Water Crisis 4 Our Families statewide telethon and raised $1.13 million. * Help Me Hank: The School Project is a commitment to improve the physical environment of Thurgood Marshall Elementary-Middle School in Detroit. The station's consumer unit, Help Me Hank, partnered with the Detroit Public School Community District to identify a school that was in crucial need of building renovations. * Arab in America with Sandra Ali is a series of news reports showcasing the personal stories of Arab Americans in Metro Detroit. * True Blue is a series of stories dedicated to showing life as a police officer and putting a face with the badge. The Local 4 Defenders are trying to bridge the gap between police and the community to stop future violence. * Support of The Heat and Warmth Fund, Komen's Race for the Cure, Red Cross, JDRF, Bookstock and other community organizations. * Strong locally produced long and short-form programming that showcases the heart of our community. 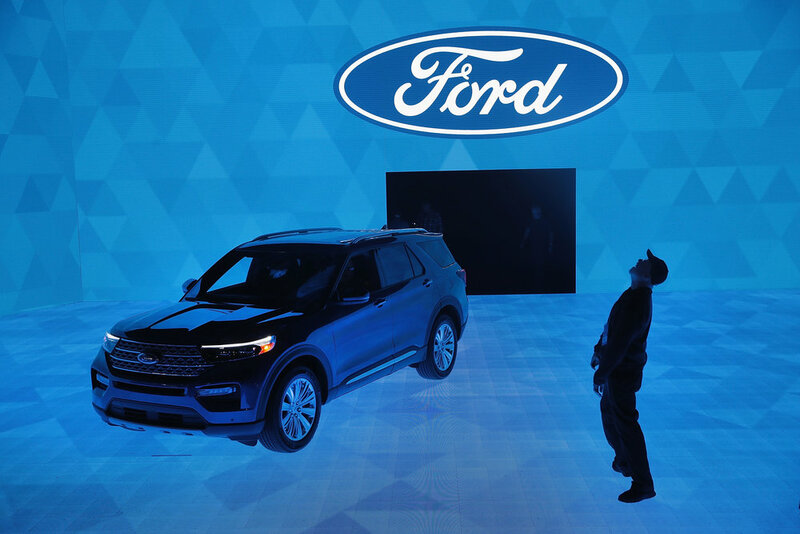 Highlights include the North American International Auto Show, America's Thanksgiving Parade, Live in the D, The Ford Fireworks, Flashpoint and the Local 4 Film Challenge. "This award reflects the hard work and contribution of every single member of our WDIV/ClickOn Detroit team. I couldn't be more happy and proud of what we do here at this station," said Vice-President and General Manager Marla Drutz. In the NABEF's press release announcing the award recipients it was stated, "Through news coverage, philanthropy, and community service, WDIV puts the needs of viewers first."